An Abbotsford, B.C. family was preparing for an upcoming wedding when an explosive and deadly fire broke out at their home Thursday, according to relatives. Flames engulfed the garage of the Ponderosa Street property at around 4:30 p.m. and quickly spread into the house. Neighbours reported hearing a loud blast before seeing black smoke billowing over the quiet residential area. "I heard this explosion like I've never heard," Steve Simpkins said. Six adults and two young children managed to escape the property, but one man was killed. Simpkins said there was a chaotic scene on the street as the home burned. "The family was outside yelling, 'He's still inside,'" he said. "That was very tragic. They're a great family … I'm a tough guy and everything, but I'm weak tonight." Family members told CTV News they were preparing for a wedding scheduled for next week. 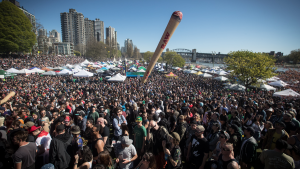 The Abbotsford Police Department said it was not prepared to release any details about the deceased, including his age, but offered condolences to the family and friends. It's unclear how the fire started, and police said they wouldn't be able to get inside to determine the cause until Friday. 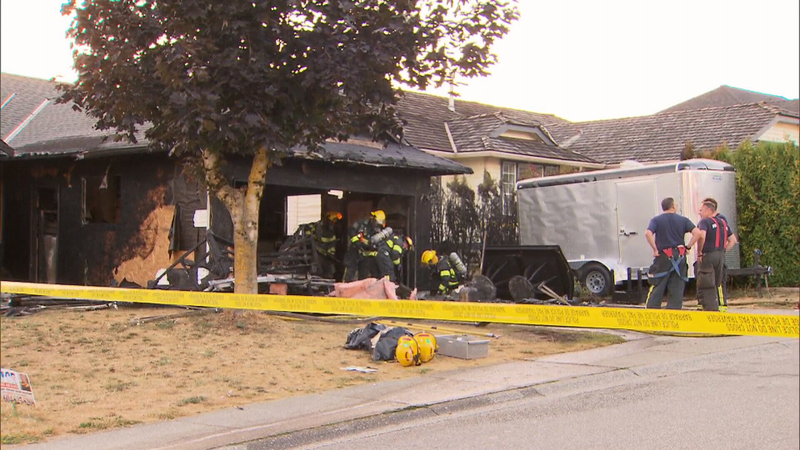 Police are investigating a deadly fire that broke out in an Abbotsford, B.C. home on Thursday.